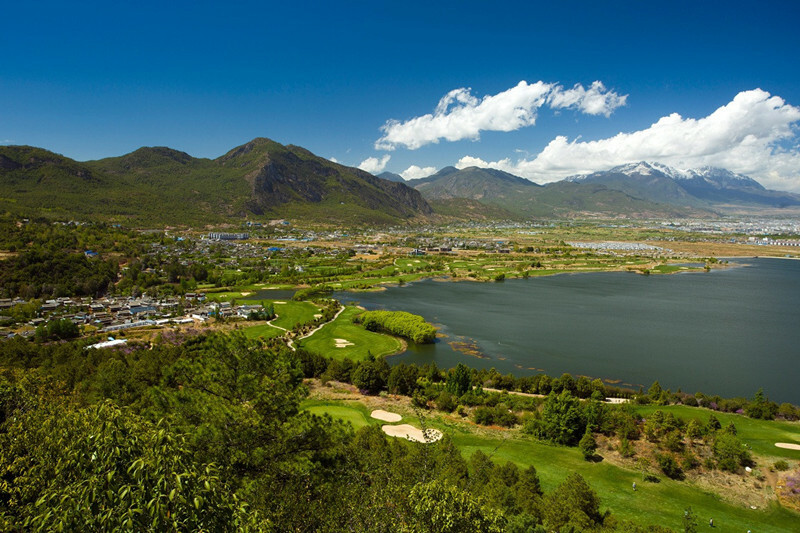 Lijiang Ancient Town Lakefront Golf Club is just 8 kilometers (5 miles) from the Lijiang Old town near Kunming and is one of the lesser known courses in the area. 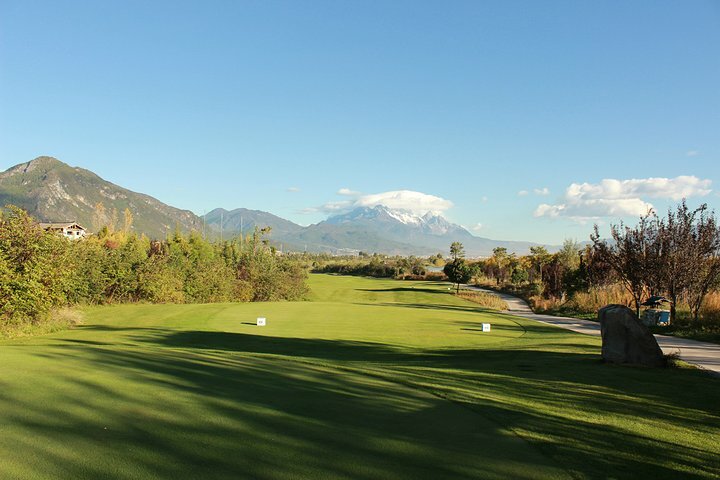 Playing golf here, you will feel entertained, challenged, and relaxed at the same time. 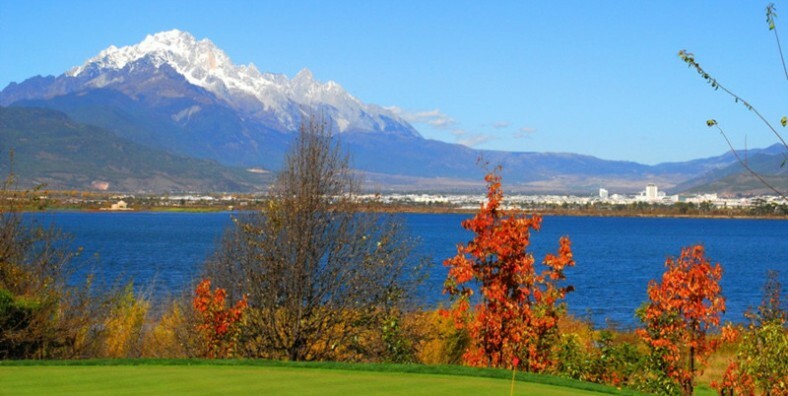 Play golf at the PGA standard golf course – Lijiang Ancient Town Lakefront Golf Club. Enjoy the beautiful natural scenery in Lijiang. In the morning, picked up by the tour guide from your hotel and start today’s tour. Head for the scenic Black Dragon Pool and the Dongba Museum to explore the rich Naxi’S minority culture. Black Dragon Pool is the main headwater of the Yushui River which goes through the Old Town. People believe that the gods of the Naxi people are living in the chestnut woods, beside the mouth of springs, behind the carved doors and below the bridges. 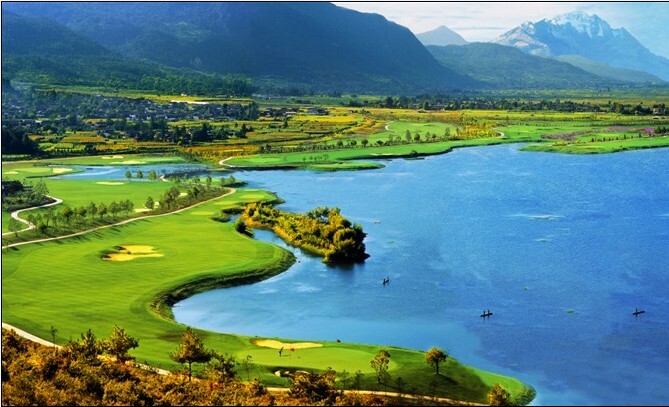 In the afternoon, play golf at Lijiang Ancient Town Lakefront Golf Club, which is located at the foot of Wenbishan Peak, in the front of Wenhai Lake, face to Jade Dragon Snow Mountain. It is designed by Joe. Bringer, a famous designer from USA. The Club features an international standard par 72; 18-hole golf course with 7,661 yards of fairway .There is also a 38-tee driving range with lights for evening driving. The golf course features beautiful natural views from a hill top and the surrounding lake. After the tour, driven back to your hotel and service ends.